Dr. Salma Kanwal is a General Practitioner in Obstetrics and Gynaecology department with experience spanning over 9 years. She completed her MBBS from Nishtar Medical College, University of Health Sciences, Lahore, Pakistan in 2008 and specialization training in Obstetrics and Gynaecology in 2014 from College of Physician and Surgeons in Pakistan. 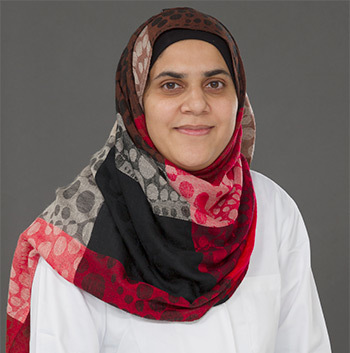 Prior to joining NMC Royal Women’s Hospital, Dr. Salma was last associated with multi-specialty hospital in Abu Dhabi managing patients in Obstetrics and Gynaecology department. Dr. Salma has also completed her BLS and NRP training and keeps herself abreast with latest in Gynaecology by attending various medical conferences. Dr. Salma speaks Urdu and English.